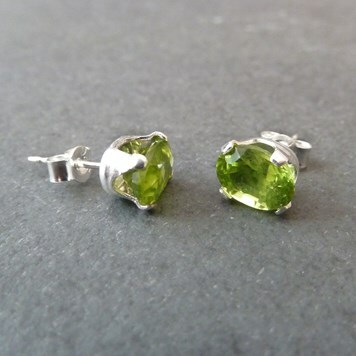 Peridot is such a pretty gemstone and one which is adored by jewellers. 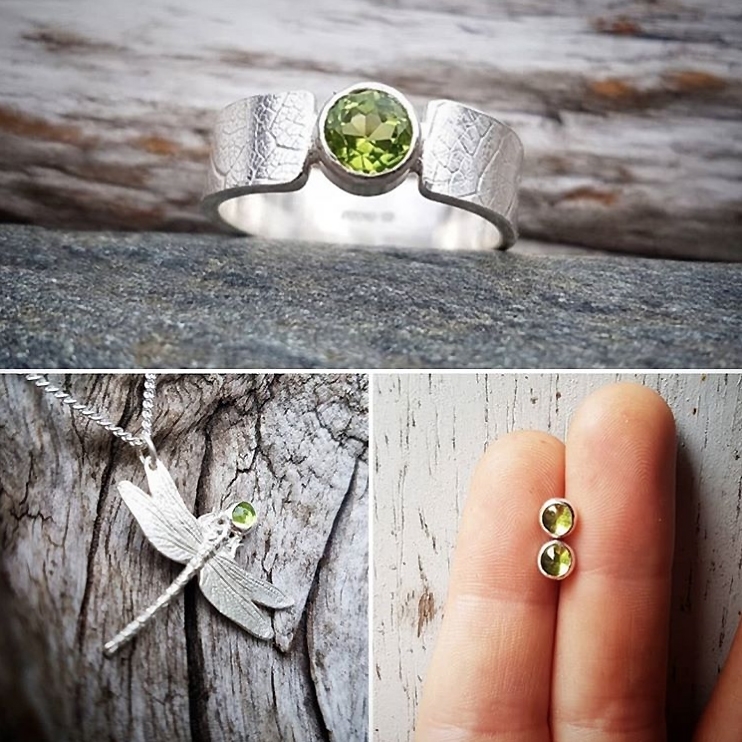 Peridot is the birthstone of August, making it a great gift idea for a loved one - you can find a range of jewellery making kits on our website, with step by step instructions and a one-click shopping list. 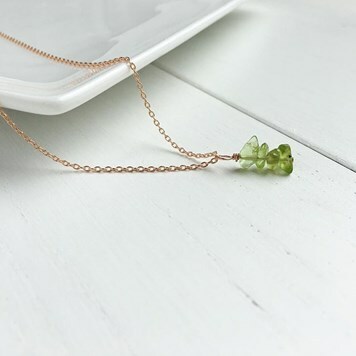 Peridot was known as the sun-gem by ancient Egyptians and it's believed to be an uplifting stone, bringing compassion and harmony to those who wear it. 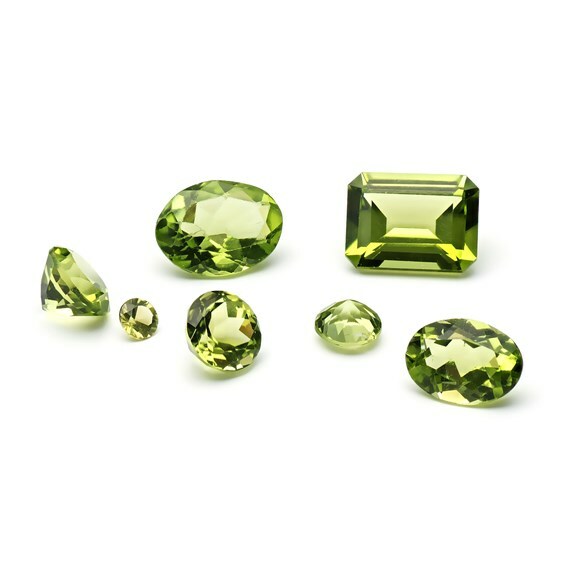 Another fun fact about peridot is that it's an extraterrestrial stone, as peridot crystals have been found on meteorites - it's a gemstone which is totally out of this world! 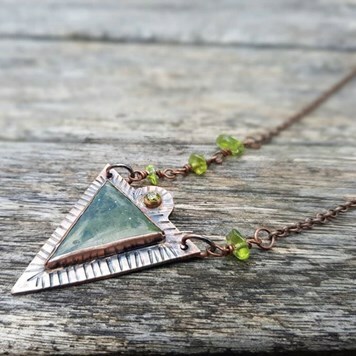 Today we want to share with you a range of beautiful jewellery designs using peridot cabochons, faceted stones, briolette beads and more. We hope it gives you plenty of new ideas for your future jewellery designs. 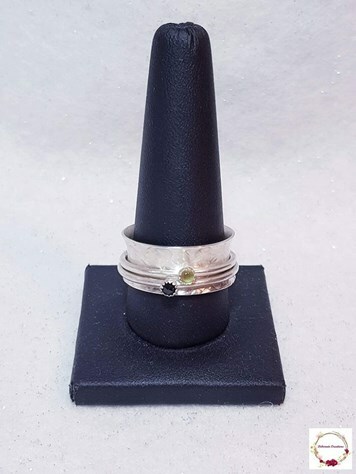 Nina from Iasthai Original creates a beautiful custom ring, using a peridot tumbled polished gemstone set in sterling silver. These peridot stones are perfect for unique designs and work great in a claw setting such as this. 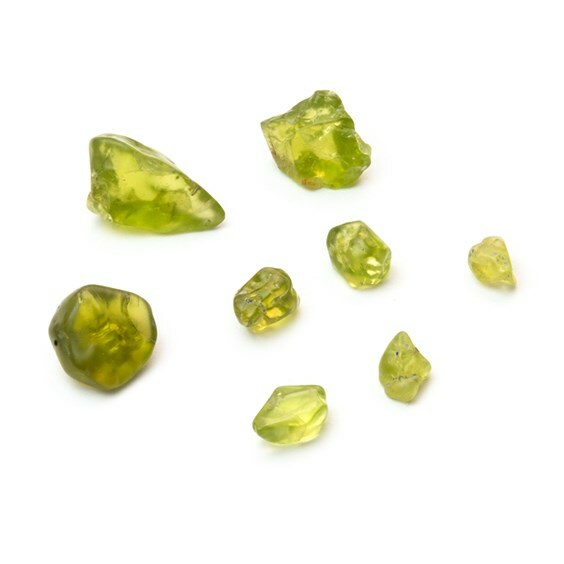 These natural peridot tumbled polished stones are undrilled are great for wire wrapped of claw set designs. They're from Arizona and have natural inclusions, varying in different shapes and sizes. Made By Miss M - "Yes peridot rules August and it's amazing. 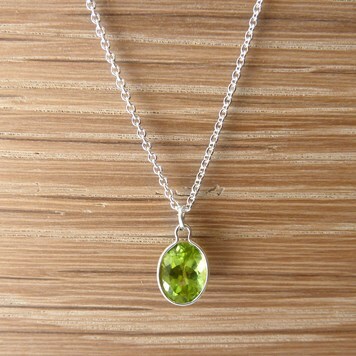 And even if peridot isn't your birthstone, wear it often. It's one of the heart openers. Keep it close." We love this simple yet stunning design, using wire-wrapping techniques. Genny Wren Jewellery - "Gorgeous green peridot beads, hand wrapped almost rosary style to give a bit of interest and colour accenting the two pendant stones before linking into a copper rolo chain. Perfect for August birthdays too with the pretty peridot." Our peridot chip beads are perfect for these unique designs. They have a lovely pop of colour to brighten up your handmade designs! Saffron Anapheonix - "August, the season of peridots." 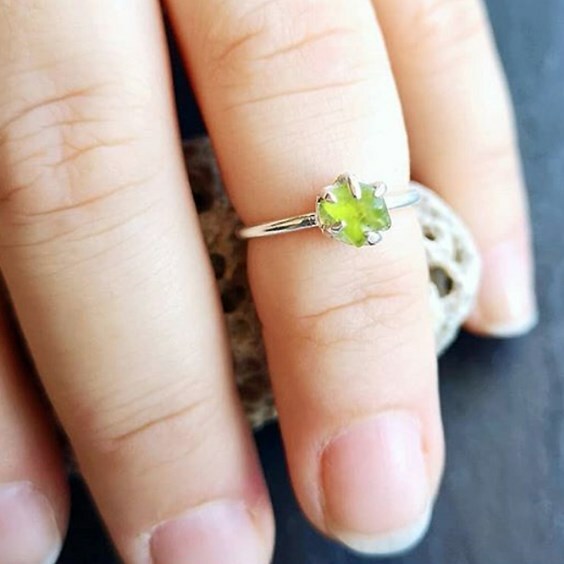 We love this birthstone collection, showcasing the beauty of peridot faceted stones within a ring and how a pop of colour can really transform a design. 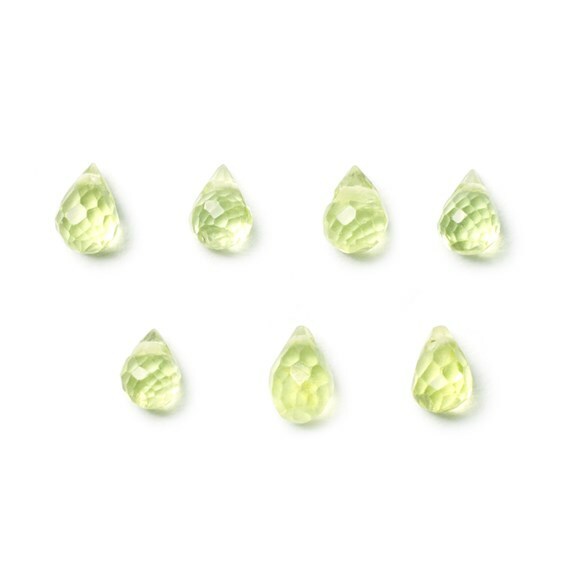 Our range of peridot faceted stones come in a range of shapes and sizes including, round, oval, marquise, teardrop, square, octagon, trillion, heart and half moon. Jules Stenning Design - "Peridot. Gemstone for August birthdays! A very special pendant which not only has this stunning gemstone (peridot cabochon) but also 2 beads of 18ct fairtrade gold." Deb Briggs creates a lovely textured, sterling silver black spinel and peridot spinner ring. A custom order for someone with an August birthday! 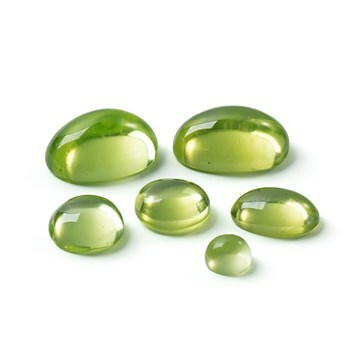 These peridot cabochons are so juicy! Their magnificent spring green colour is perfect for bright jewellery designs. Available in round and oval shapes. 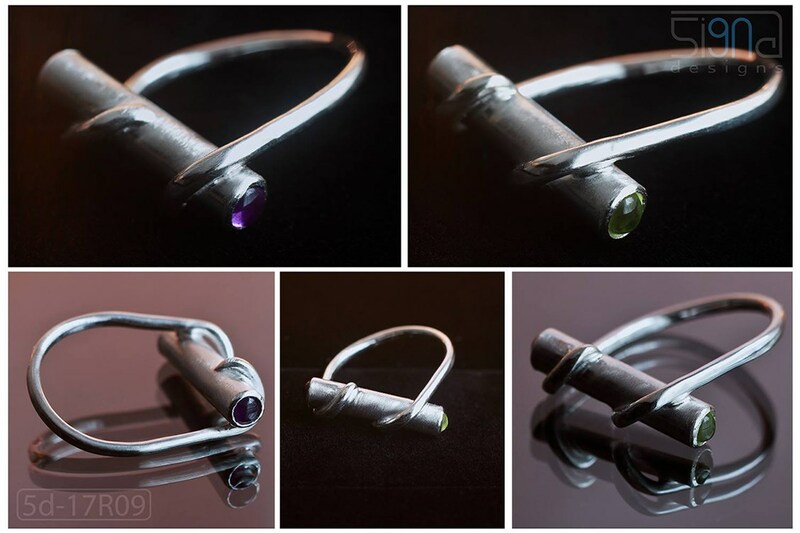 5igna Designs - "Sterling silver ring with peridot and dark amethyst from Kernowcraft." Monickka - "Tiny and even tinier. Delicate elegant pendant with semi-precious briolettes (peridot and green onyx) from @kernowcraft." 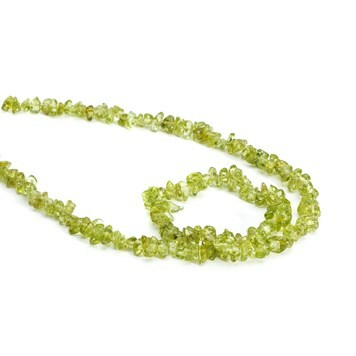 Add some zing to your designs with this beautifully hand cut peridot briolette beads. They have an amazing clarity and look wonderful combined with other gemstones. They come in a pack of 10 so you can make a few designs! Our sterling silver snaptite settings are so simple to use! All you need to do is snap the stone in place. 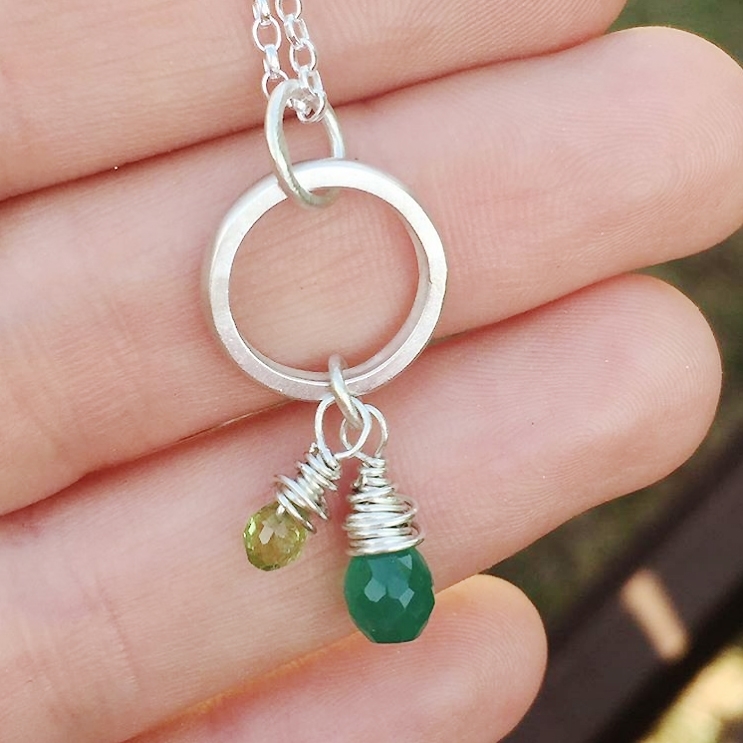 This easy project is such a great way to show off your chosen faceted stone. We've used our wraptite settings where you need to pop the stone in the setting and squeeze the loop to set. 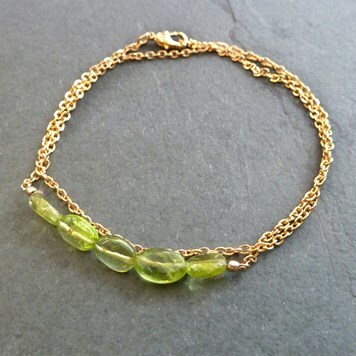 We love the combination of gold and peridot! Find out how to create this pretty bracelet, along with all the supplies you need. 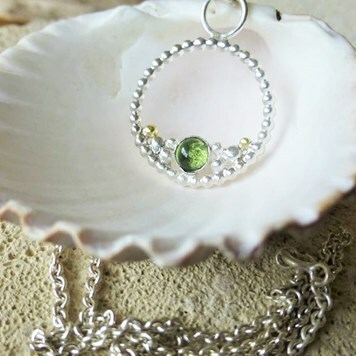 Watch how easy it is to create these peridot hoop earrings!